At Denver Upper Cervical Chiropractic, we want our patients to know just how many different things chiropractic care can help. We often see athletes in our practice to help them maintain peak performance, but there’s one group in particular that can really benefit from care with us—cyclists! Here’s how. At our practice, we’ll never tell patients that they should simply stop riding—instead, we want to get to the root cause of your issue and correct it. Because a hunched posture is necessary to cycle correctly, it’s common for your spinal bones to become misaligned, leading to a world of problems (including those mentioned above). If you’re dealing with pain, don’t put off seeking help or ignore it. We can help you feel better naturally and without the need for drugs or surgery. 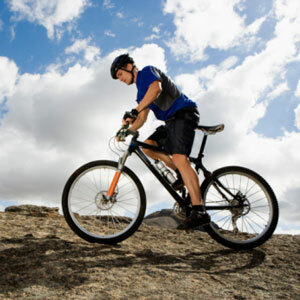 Whether you’re a cyclist, athlete or someone who just wants to live a healthier life, contact our practice today to find out how we can help you. We’ll develop a custom care plan unique to your needs.